I learned how to make lemon bar recipes when I was young. If I was a betting person (and I am) I would bet that Betty Crocker came up with the original lemon squares or lemon bars. I do not know this to be a fact but like I said, I have been making these as far back as I can remember. It seems to me that Sister Gloria copied my recipe from Betty Crocker recipes. They have been so popular that I make them throughout the year and always for Christmas; we never get tired of them. Whether you are learning how to make a lemon bar recipe or a lemon squares recipe, lemon is a must flavor to include in your Christmas cookie recipes and there is no better way than this recipe. 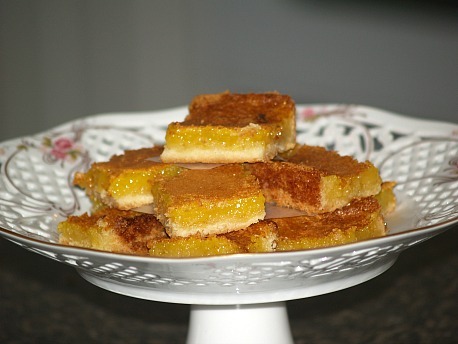 These lemon bars are rich and delicious; almost every cook I know includes them in their holiday recipes. This recipe is so popular year round and great for serving with coffee or tea. Today, you will find them in almost every popular coffee shop. If you are learning how to make lemon bar recipes, today there are a variety to choice from. Some are made totally from scratch and other recipes call for various cake mixes like Betty Crocker’s white, lemon or yellow; another reason I think this started with Betty Crocker. Most of my lemon bar recipes are basically the same ingredients varying slightly and having different quantities. Combine the 1 ½ cups of flour and ½ cup powdered sugar in a medium bowl. With a pastry cutter, cut in the butter until crumbly. Press onto bottom of prepared pan. Bake for 15 minutes. In a large bowl combine the eggs, granulated sugar, baking powder, remaining 3 tablespoons of flour and lemon juice. Mix well and pour over the baked crust. Bake 20 to 25 minutes or until golden brown. Cool and cut into bars or squares. Sprinkle with additional powdered sugar. Store covered in the refrigerator and serve at room temperature. FOR OPTIONAL CHOICE: To make pecan lemon bars omit the 3 tablespoons of flour in the lemon mixture and sprinkle ¾ cup of finely chopped pecans over the top of the lemon filling. To make coconut lemon bars omit the 3 tablespoons of flour and sprinkle ¾ cup of shredded coconut over the top of the filling. 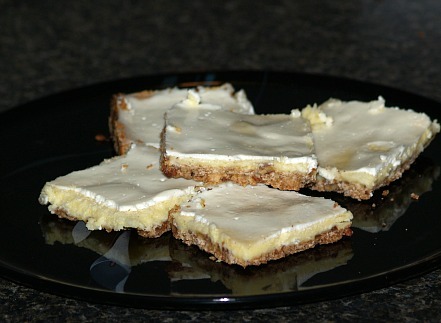 These cake mix bars are a quick and easy way to make a lemon bar recipe. Combine and blend cake mix, 1 egg and butter; press into lightly greased 9 X 13 inch baking pan. Combine and beat until smooth cream cheese, 2 eggs, powdered sugar and grated lemon rind; pour over top of crust. Bake 30 to 40 minutes or until crust browns lightly; watch carefully. Dust with powdered sugar while warm; when cool cut into bars. This cheesecake bars recipe is a wonderful way to enjoy a delicious lemon bar recipe or lemon squares. Who doesn’t love cheesecake! Combine flour, brown sugar, salt and butter; blend in pecans and pat into a greased 9 X 13 inch baking pan. Beat together cream cheese, ¾ cup sugar and lemon juice and rind until smooth. Add eggs to mixture beating well after each; pour mixture over baked crust. Combine sour cream, 3 tablespoon sugar and vanilla; spread evenly over the top; bake 7 minutes. Let bars cool completely before cutting into bars. Combine and mix butter, shortening and sugar in mixing bowl; stir in flour. 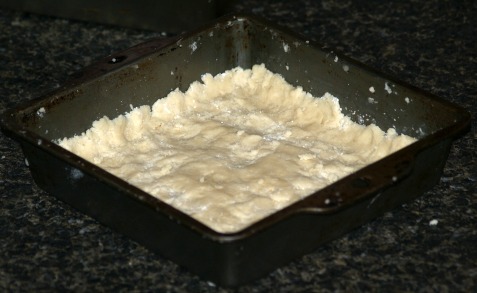 Press evenly in bottom of ungreased 9 X 13 inch baking pan; bake 10 minutes. Spread filling over baked crust; bake 25 minutes longer or until top is golden brown. Cool slightly and cut into bars; cool completely. Beat eggs in large bowl; stir in remaining ingredients.